This item cannot be sold to minors under the legal age of 15. After all the controversy and rigorous debate has subsided, Mel Gibson's The Passion of the Christ will remain a force to be reckoned with. 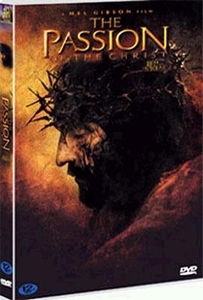 In the final analysis, "Gibson's Folly" is an act of personal bravery and commitment on the part of its director, who self-financed this $25-30 million production to preserve his artistic goal of creating the Passion of Christ ("Passion" in this context meaning "suffering") as a quite literal, in-your-face interpretation of the final 12 hours in the life of Jesus, scripted almost directly from the gospels (and spoken in Aramaic and Latin with a relative minimum of subtitles) and presented as a relentless ordeal of torture and crucifixion.